Pizza buns a simply a lifesaver . 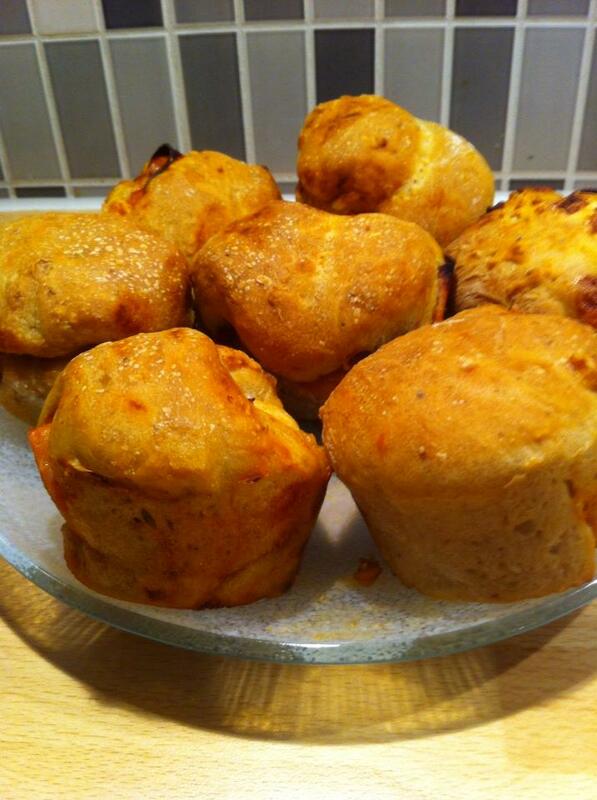 Here I have made them with a little different seasoning but fits perfectly into them here Pizza buns. If you have some in the freezer, so there is always some wholesome homemade food ready and just throw in the microwave and melt it so. Not a lot of bads and fatty things like the finished frozen pizzas contain. And it goes really fast to fix. You can easily double the rate. There will be 10 pices. Work the dough into a smooth dough . Let rise about 40 minutes. Remove the dough and work it . Divide into two pieces and roll out . Then coat the tomato sauce , add the meat and sprinkle with the cheese. Then scroll down and divide into five pieces. Then put in muffin tins and let rise for about 40-50 minutes. Bake at 225c for about 15 minutes or until golden. This Pizzasallad with it. So perfect with the pizza buns. Thanks! I will have to try this. I make pizza for dinner every Sunday night after church, so this will change it up a little!